11:00 Edinburgh is a ‘cross-stitched’ city. The streets meet at different levels, passing above or beneath each other, and once you go off the main street you can end up anywhere. In Victoria street, as I am looking for a shop with old maps, I chance upon the Old Town Bookshop: a beautiful old establishment for second-hand and antiquarian books which reminds me a little of Shakespeare & Co in Paris, although it is smaller. I find the first volume of The Journal of a Tour to The Hebrides in a 1908 edition. The second volume is missing and the price is low, so I buy it: it is Boswell’s journal of his trip with Samuel Johnson, the book that made Boswell famous. I continue happily on my way. I contemplate the architecture of University Old College, the library, the Greek-style Surgeon’s Hall museums. I walk past the Blind Poet Bar. 12:15 Across the street from the University I discover the students’ haunt. The stone café with tables and benches of solid wood serves tasty sandwiches, homemade scones, coffee and tea. At this hour it is full of young people who come in with their notes and i-pads; I am probably the only person over 30 in here. In addition to tattoos, the young generation is obsessed with piercing. It is as if they remap their face, keeping their distance from the establishment and the existing world. The jewellery worn in tongues, eyebrows, ears, cheeks and noses —predominantly noses— seems like a statement of differentiation. I wish with all my heart that they achieve this in its essence, and take it beyond the jewel-symbol at the tip of their nose. 13:00 Circling the square in Edinburgh seems like the riddle Archimedes was trying to solve shortly before he was killed by that ignorant Roman soldier. Taxis are a way out. Taxis are your friends in Edinburgh. The cabbies are polite, there is room for your suitcase or dog and you can still stretch your legs. They are big, black and move slowly like sloths until you hire them and give them a reason to speed up. I visit the Scottish National Gallery. Rubens, Raphael, Cezanne, Van Gogh, Vermeer, El Greco — I meet all my good friends again. 16:00 I take a rest in the gardens of Princes Street. It’s a rare sunny day and the park is teeming with parents with kids, elderly people and dogs. I sit and pretend to be a seasoned inhabitant of this city. I think of Ian Rankin and J. K. Rowling. 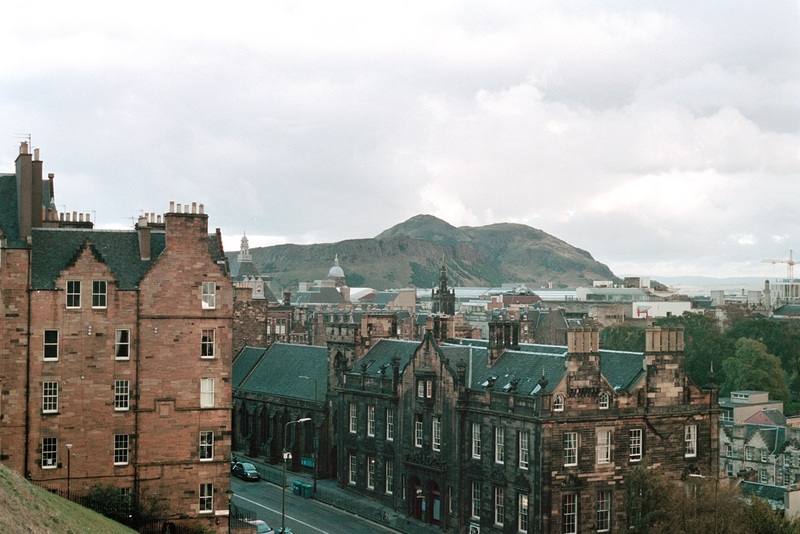 The truth is that you can’t live in Edinburgh and not attempt to write at some point. I am leaving tomorrow. I get up. I must fit in at least a brief visit to the National Museum of Scotland. I am told it is amazing.